Here’s March’s Newsletter! These recipes are a nice start to using your 52 weeks of food storage What do you make out of corn syrup anyways? Click on the image below to view the recipes and even view the new 52 week food storage plan. 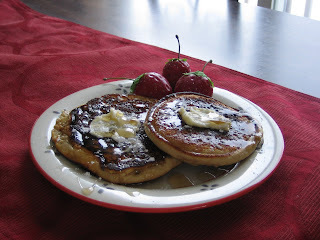 Pour out batter into pancakes from the actual blender jar (only one thing to wash!) onto a hot greased or Pam prepared griddle or large frying pan. Mix dry ingredients together into an empty #10 can and store covered in a cool, dry place. Optional: Add raisins or dehydrated apples from the cannery just break them into smaller pieces. 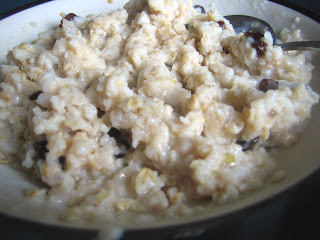 Mix Oatmeal mix and optional toppings with water and microwave for 2 minutes in a microwave safe bowl or mug. Note: If you need to make more of this for a larger family, simply boil the water first in a pot on the stove and then stir in the oats and let sit for 1 minute. Stir. Cook in crock pot about 8 hours on Low temp. Bottle or freeze. Blend and let cook in crock pot 8-10 hours. Bottle or Freeze. 1. Add ingredients blend well. 3. Spoon in 2 TBS of batter, lift and spread batter. 4. Brown on 1 side only. 1. Simmer over low heat until thick and smooth. 2. Toss with 1/2lb cooled spaghetti. 3. Garnish with cilantro and lime.